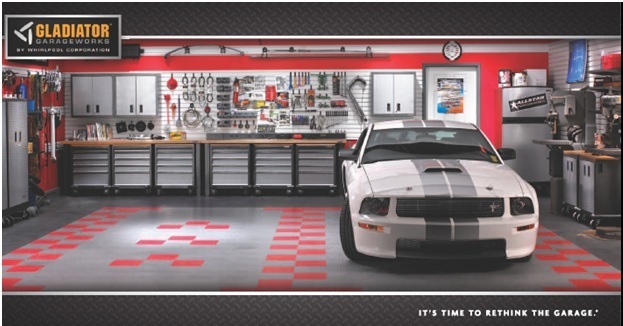 Garage Gladiator lets you customize your garage with a variety of organizational and functional components made from top quality materials, including heavy gauge steel, solid hard maple wood, ball bearing slides, and powder coat paint finishing. You can even create workspaces so you can turn the garage into a hobby space, play area, and DIY work space! Keeping the garage organized benefits the whole family and even increases the living and work spaces in your home. This entry was written by Elizabeth Bowman, posted on October 6, 2010 at 9:59 am, filed under Fun Stories, Garage Storage, Interesting Sites, Organizing Process, Productivity and tagged clutter, DIY, family organization, garage, Garage Gladiator, Garage Organizing Tips, Garage Storage, general organizing, home, Innovatively Organized, maximize space, organization, organize, organizing, work space. Bookmark the permalink. Follow any comments here with the RSS feed for this post. Post a comment or leave a trackback: Trackback URL.